Chikkaness Avenue: ABS-CBN VERTIS TENT OPENS THIS DECEMBER WITH "JUST LOVE, THE ABS-CBN CHRISTMAS BAZAAR"
ABS-CBN VERTIS TENT OPENS THIS DECEMBER WITH "JUST LOVE, THE ABS-CBN CHRISTMAS BAZAAR"
The ABS-CBN Vertis Tent is finally opening its doors to Kapamilyas with the start of the “Just Love, The ABS-CBN Christmas Bazaar” on December 1. Named after ABS-CBN’s 2017 Christmas theme, the bazaar will offer Kapamilyas a great shopping experience this holiday season with a wide array of items on sale, celebrity booths, and even performances by Kapamilya artists until December 23. This is the first public event to be done in the ABS-CBN Vertis Tent, which is located within the newly opened Ayala Malls Vertis North Complex in Quezon City. 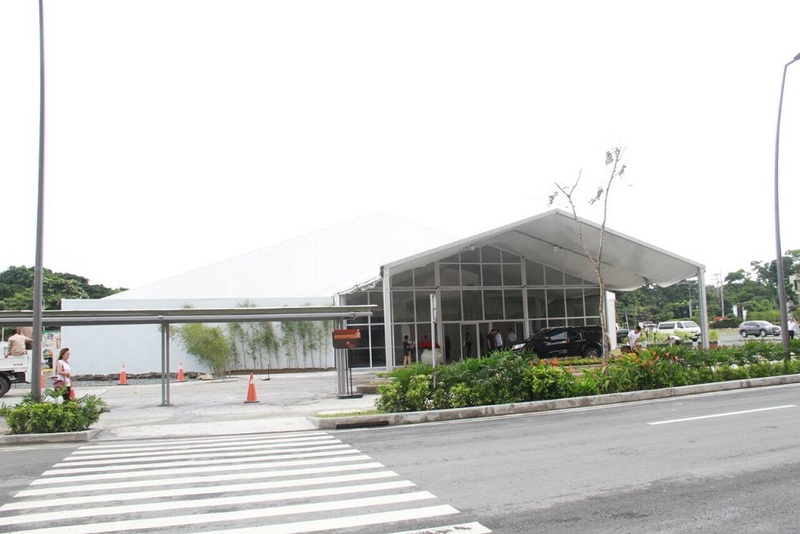 The tent has 1,200 seating capacity and is a perfect venue for special events, live shows, product launches, exhibits, and concerts, and will soon house other events that will bring the Kapamilya network’s content and its stars closer to the people. A joint venture of the country’s leading media and entertainment company and Ayala Malls, the ABS-CBN Vertis Tent was officially opened on November 10 with a ceremony attended by ABS-CBN chairman Eugenio Lopez III, ABS-CBN president and CEO Carlo Katigbak, ABS-CBN chief operating officer of broadcast Cory Vidanes, ABS-CBN head of business development Paolo Pineda. Present for Ayala Malls were Ayala Land, Inc. senior vice president and commercial group head Junie Jalandoni, Ayala Malls group head Rowena Tomeldan, and Ayala Land, Inc. commercial business group chief financial officer Ruby Chiong. Toni Gonzaga hosted the program while Erik Santos performed for the audience. ABS-CBN and Ayala Malls hope to deliver many meaningful experiences to Filipino families through the events that will be staged in the ABS-CBN Vertis Tent. “ABS-CBN’s relationship with Ayala Malls has been around for decades. Today we enter into another milestone partnership by working together to build the first large capacity air conditioned tent in the northern Metro Manila area. 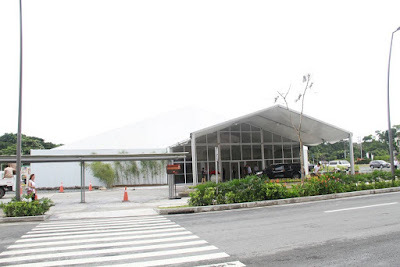 We knew there would be a need for this type of venue for the general public, corporate events, Ayala events and of course for ABS-CBN,” said Paolo, who also shared that the network will be staging two internal events in the venue this November. Rowena, meanwhile, thanked the network for partnering with them in a project that will provide people with a social space to enjoy bonding with family and friends. “Imagine all types of events we can stage here where we can connect the Filipinos and give them a different experience,” she said. For inquiries and reservations on the ABS-CBN Vertis Tent, email santosgail.atmi@ayalamalls.com.ph. For inquiries on the Just Love Christmas Bazaar, email kapamilyabazaar@abs-cbn.com.